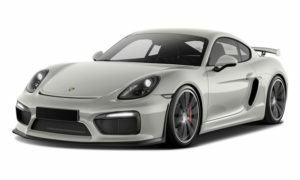 Porsche Lease Calculator - Calculate Residuals, Payments, And More! Are you looking to drive a classic Porsche on the weekends? Ever wanted to drive something like the GT3RS, and use the car for tax purposes? Use this Porsche calculator to find out the payments on the vehicle you are deciding on leasing. Find the car at any dealership and follow the prompts below. Choose from popular models like Porsche 911 Turbo Coupe S, Porsche 911 GT3Rs, Porsche GT3 & Turbo’s. Even the more exclusive Porsche’s like the Porsche 918 Spider Weissach. Into older Porsche use the Vintage Collectible section to see payments on something like a 1973 Carrera Rs Lightweight. For any questions please call us (800) 680-0212. These numbers are extremely accurate. If you find a payment that you like, please remember we can get you the financing you need to drive that Porsche you have always had your eye on!